So my best friend Pamela and I decided to plan a camping trip to celebrate finishing my first summer in graduate school. It ended up also being a celebration of her being healed from a medical condition, so it was doubly exciting. She's going to blog all about it in the next couple of days, so I won't say much except that it was awesome, we had plenty of unexpected adventures, and we made lots of good memories. I'm really getting into this digital scrapbooking thing, so I decided to memorialize the trip with a scrapbook. I'll post it here when I'm done. So far I've finished two pages. It's kind of addictive. 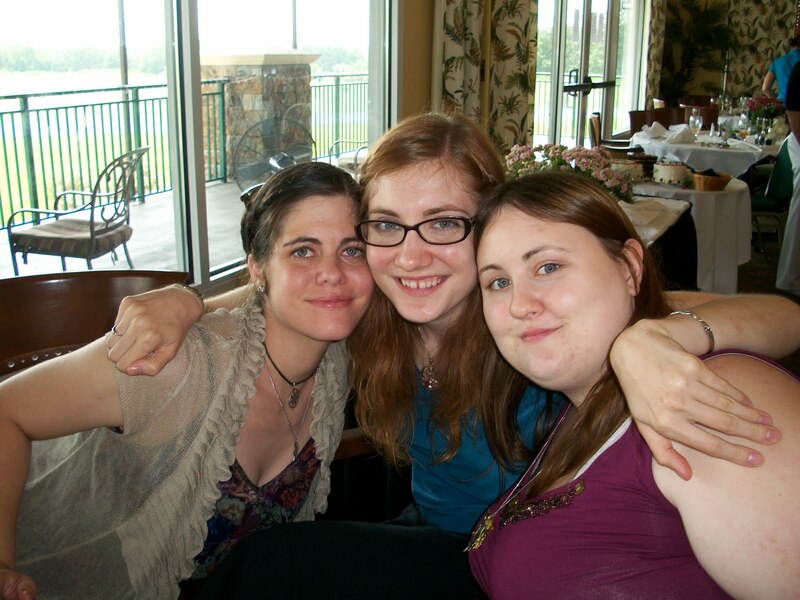 I've also been at two more weddings since I last blogged (bringing my total to five this year).One was an old friend from back in my homeschool days, Mikia. We haven't really kept in touch well so I was honored to be invited. It was a cute outdoor wedding with a beach theme. The second was a friend from freshman year of college, Shilo. She transferred sophomore year, but we were pretty close back in the day. She asked Pam and me to be bridesmaids, which I was really nervous about, since it was the day we left our campsite, but it was a huge honor. So after two days of getting wet and dirty and mucking about, we woke up early, packed up our gear, showered and got all fancy to be bridesmaids. It was a whirlwind, getting there barely in the nick of time, being handed a bouquet and told to lead the way out the door to the alter. Then a bunch of pictures outside on a hot muggy day and the reception. It was really sweet when we did the Converse tradition of circling the bride and singing the Alma Mater. I am so excited to be finished with two classes! I've got about two weeks before the fall semester starts, and I plan to enjoy every bit of it. Though I really do need to figure out what I'll be taking this fall.